The sweet taste of wine, the hum of window shoppers passing in front of colorful historic storefronts, and the arresting sight of a vibrant sunset reflecting off of a pristine lake. These moments define the city of Grapevine, a premier shopping and dining destination in the Dallas and Fort Worth area. Grapevine is known as a veritable playground for wine lovers due to the eight wineries that call the town home. Yet Grapevine isn’t just a place for oenophiles and shopaholics. Thanks to the scenic Lake Grapevine, this town has plenty to offer those who love being outdoors. No matter what type of vacation you’re looking for, you’ll find what you’re it in Grapevine. The town began in 1843 while the Lone Star State was still the Republic of Texas, making it the oldest settlement in Tarrant County. It derives its name from the abundance of wild mustang grapes that were growing in the area. This was a preview of what Grapevine would eventually become: the heart of the Texas wine industry and the home of the Texas Wine and Grape Growers Association. Grapevine’s status as a wine lover’s destination is reinforced by the many wineries within town. Wander from one tasting room to another in Historic Downtown Grapevine, or go on a wine tour at Delaney Vineyards & Winery that is nestled among 10 acres of lush grapevines. All the varieties of reds and whites means you’ll always find something new to tickle your palate in Grapevine. 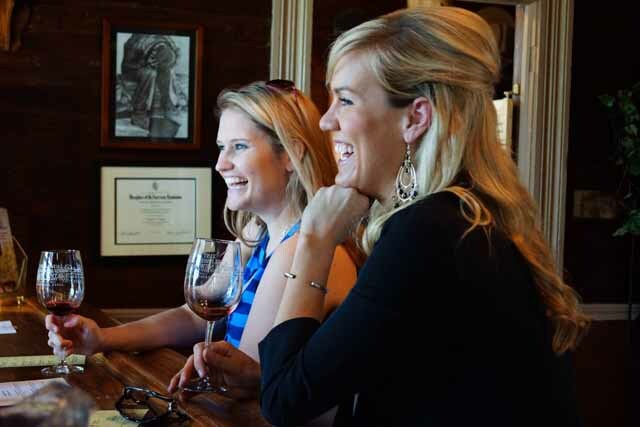 Although wineries are one of the top things to see in Historic Downtown Grapevine, there’s much to see and do here. Spend hours browsing one-of-a-kind clothing and interior design shops and art galleries nestled within eye-catching 19th-century buildings, then sip on a tasty cup of coffee and relax. If you want a delicious meal, you don’t have to go far to find what you crave. Along Main Street, you’ll find everything from barbecue joints to pubs and restaurants offering seafood and Southern cuisine. Now that your appetite has been sated, catch some live music at either Tap-In Grill & Pub or Willhoite’s, or see a screening of a classic movie in the art deco-style Palace Arts Center. As if all the shopping, dining, and live entertainment wasn’t enough, downtown Grapevine hosts some of the biggest events in all of the Dallas and Fort Worth area. One of its most notable events is GrapeFest, the largest wine festival in the American Southwest held in four days in September. During the holiday season, downtown Grapevine is illuminated with millions of lights when the entire town transforms into the Christmas Capital of Texas, where you’ll find 1,400 Christmas events in more than 40 days. If you relish the finer things in life, Grapevine has you covered. Yet it is also an alluring place to be if you prefer romping around in the great outdoors. The epicenter of Grapevine’s outdoor offerings is Lake Grapevine, an 8,000-acre recreational lake located just north of town. Explore the lake on a boat or kayak, or go for a swim at the beaches at Meadowmere Park and Vineyard’s Campgrounds. Lake Grapevine is an excellent place to go fishing for largemouth bass, spotted bass, white bass, catfish, and crappie, all of which live in the cool waters in abundance. Beyond the water-based fun, Grapevine is home to 26 miles of hiking and biking trails, providing the perfect platform to admire the beauty of the local flora and fauna. Some of the most unique experiences in North Texas can be found in Grapevine. Hop aboard the Grapevine Vintage Railroad for a one-of-kind train ride to the Fort Worth Stockyards, or check out the largest indoor waterpark in Texas at the Great Wolf Lodge. Grapevine may be best known as a destination for wine lovers, but its distinct small-town charm, unique attractions, and wealth of outdoor recreation means it has something to offer just about any kind of traveler. Visit Grapevine and you’ll discover the possibilities really are endless.